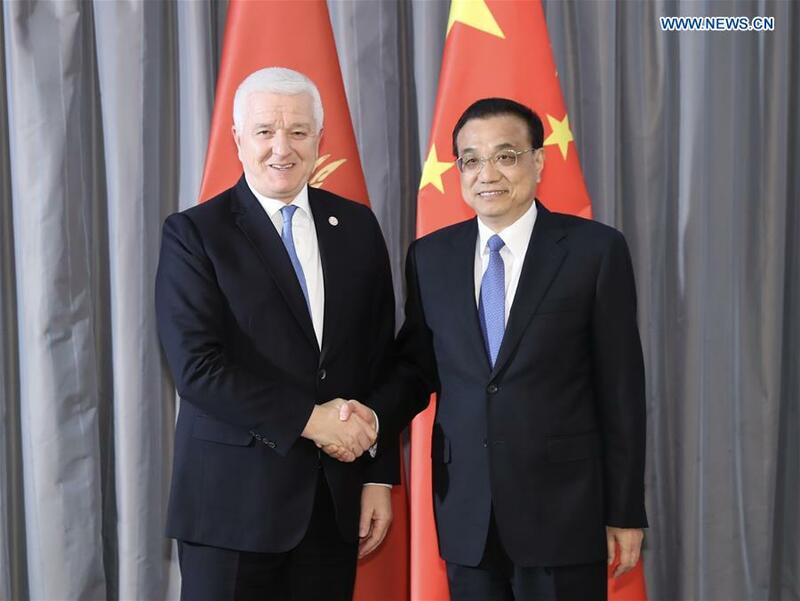 DUBROVNIK, Croatia, April 12 (Xinhua) -- Chinese Premier Li Keqiang said on Friday that China is willing to enhance cooperation with Montenegro in economy, trade, investment, clean energy as well as transport infrastructure. Li made the remarks during his meeting with Montenegro's Prime Minister Dusko Markovic on the sidelines of the eighth leaders' meeting between China and Central and Eastern European Countries (CEECs) held at the southern Croatian coastal city of Dubrovnik. Markovic said Montenegro and China share a friendly relationship, and bilateral relations have maintained good momentum for development. Montenegro hopes to step up alignment and cooperation with China in areas including transport infrastructure, industries and green energy, Markovic said.